Rebecca Wagner is a Colorado native and was born in Englewood, Colorado. As an undergraduate, she attended the University of Colorado at Boulder where she graduated with honors with a B.A. in Psychology. After graduating college, Rebecca applied for and was granted an internship with the Jefferson County District Attorney’s Office where she worked in the investigative unit. Thereafter, she worked for three judges in Douglas County as both a division clerk and later as a law clerk. She continued with her education at the University of Colorado where she obtained her J.D. in 2000. While attending school at the University of Colorado, Rebecca began working for a local insurance defense firm. Since that time, she has had experience as an appellate associate assigned to bad faith litigation and class action lawsuits. Later, she continued working on bad faith litigation as well as focusing her practice on cases involving complex medical issues and causation. 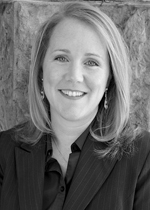 Rebecca joined Campbell, Wagner, Frazier and Dvorchak, LLC in 2012 as a partner. Her practice areas include insurance defense, bad faith litigation, appellate work and general civil litigation. Rebecca has tried numerous cases to verdict and has successfully represented clients before both state and federal court. Wrongful death lawsuit and bad faith claims arising out of a T-bone automobile accident resulting in the death of the Plaintiff’s husband. The decedent owned a niche business designing and producing manufacturing fans for mining activities locally and internationally. Plaintiff claimed that as a result of her husband’s death, the business folded, resulting in a 7.3 million dollar loss. Prior to trial, we filed a successful motion for summary judgment and the bad faith claims against our client were dismissed. Thereafter, the Plaintiff demanded $3.7 million to settle. The demand was rejected, and the parties proceeded to trial. Following a five-day jury trial, Plaintiff requested the full $7.3 million dollars in closing. While our client acknowledged the economic losses were approximately $1.5 million, we argued that the business losses claimed by the Plaintiff were excessive and unsupported by the evidence. The jury returned a verdict awarding the Plaintiff a net recovery of $1.4 million. Bad faith lawsuit filed by insured who claimed significant neck injuries following a motor vehicle accident in Boulder, Colorado. The plaintiff sued her insurer for UIM benefits, common law bad faith and statutory bad faith. Damages sought were in excess of $1,500,000. The jury returned a verdict in favor of the insurer on the common law and statutory claims and awarded the plaintiff compensation for her neck injury in an amount well below policy limits. Additionally, in post-trial briefing, the Court found that the insurer was the prevailing party on the common law and statutory bad faith allegations and as such, the insurer was awarded its costs for defense of the bad faith claims. Bad faith lawsuit filed by insured who claimed she sustained a shoulder injury as a result of a motor vehicle accident. The plaintiff sued her insurer, Allstate, for UIM benefits, common law bad faith and statutory bad faith. During the course of discovery, Allstate obtained an IME that determined the shoulder injury was related to the motor vehicle accident, and policy limits were tendered. The plaintiff withdrew her claim for UIM benefits and breach of contract, but continued to trial seeking damages for bad faith claims handling in excess of $500,000. The jury returned a verdict in favor of the insurer on all claims, and also found that the plaintiff had failed to cooperate with her insurer in the investigation of her UIM claim. The insurer was awarded its costs. Personal injury lawsuit filed by Jill Burke on behalf of her daughter, Cambree Staidl. On the night of the accident, Ms. Staidl was traveling to the homecoming dance with the defendant, Dylan McKenney and his mother, Sandra. After losing his way on country roads, Mr. McKenney rolled through a stop sign and was subsequently t-boned by a Ford F150, pulling a trailer carrying ATV’s. Ms. Staidl sued Mr. McKenney and his mother, arguing that she sustained numerous injuries, including post-concussive headaches that greatly impaired her ongoing education, social activities, ability to work, and general quality of life. Plaintiff asserted that her damages – for the duration of her life – totaled nearly eight million dollars. The jury, however, awarded approximately $11,500, against the defendants representing the emergency room bills on the night of the accident. Additionally, in post-trial briefing, it was determined that the defendants were the prevailing party and costs were awarded against the plaintiff. Bad faith lawsuit filed by Mr. and Mrs. Vermont, seeking UIM benefits following a motor vehicle accident. Mrs. Vermont alleged that the accident resulted in acute kidney failure, along with cervical and lumbar spine injuries resulting in several subsequent surgeries that left the plaintiff in a wheelchair. After her insurer determined that the injuries were not accident-related, and further determined that Mrs. Vermont had been compensated by the payment from the underlying carrier, the plaintiffs sued Allstate seeking policy limits, and bad faith damages (both common law and statutory). Following a five-day jury trial, the jury found in favor of the defendant on all claims. Additionally, the jury found that the plaintiffs had failed to cooperate in the investigation of Mrs. Vermont’s claim. Following trial, the defendant filed a motion for costs and attorney fees, arguing that the plaintiffs’ claims were groundless, frivolous and vexatious. The Court granted defendant’s motion and Allstate was awarded $142,000.